Like most humans, plants are destined to stay on the Earth for their entire lives, but with their roots in the ground they are even more bound to the planet. 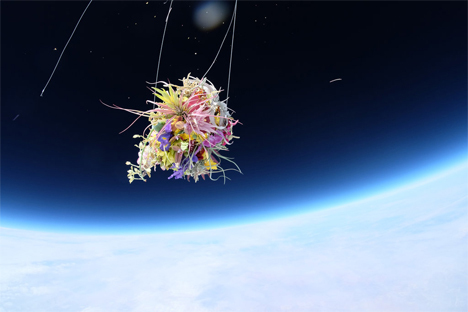 Japanese artist Makoto Azuma helped a few lucky plants break free of their earthly bonds to experience the utter serenity of space – or the stratosphere, anyway. 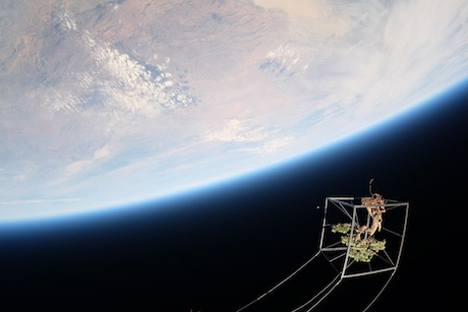 Azuma assembled a team of 10 and worked with JP Aerospace, a volunteer organization that sends DIY vessels into space. Together, they created a project called Exobotanica. 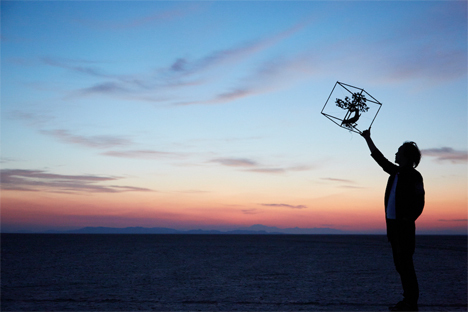 The team gathered in Black Rock Desert in Nevada – the same place Burning Man is held every year. 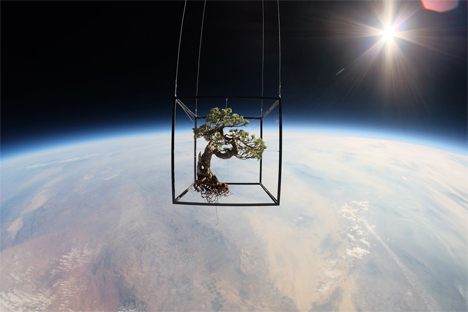 They assembled two vessels, one containing a white pine bonsai tree and entitled “Shiki 1,” and an untitled arrangement of orchids, hydrangeas, irises, lilies, and other plants from around the world. 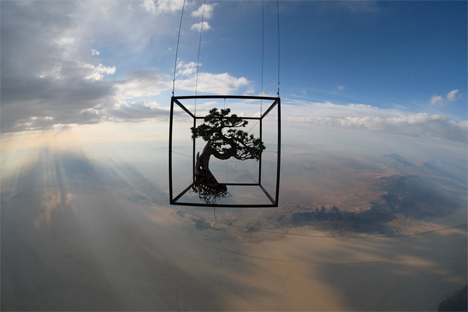 Each vessel was composed of Styrofoam and a light metal frame to support the plants. 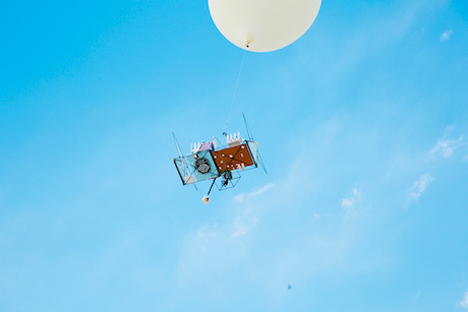 One device on each vessel measured altitude and distance traveled, while a Spot GPS tracker on each let the team locate the setups after they returned to Earth. 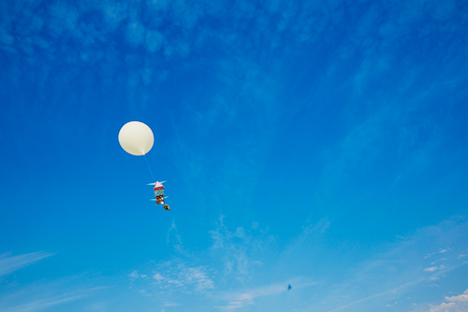 Six GoPro cameras attached in a ball formation and several still cameras captured the entire journey from ground to sky and back to the ground. 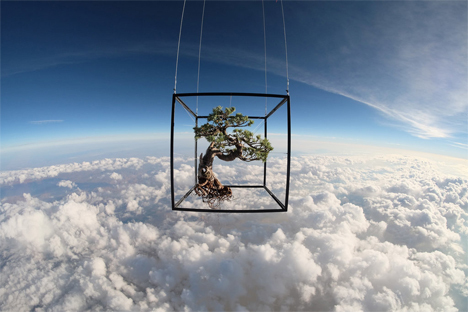 The assemblies were lifted by two gigantic helium balloons which carried the bonsai up 91,800 feet and the floral arrangement 87,000 feet above the ground. 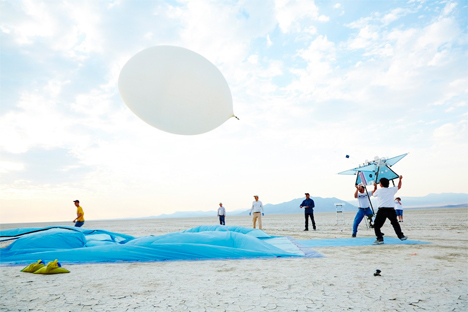 Once the balloons burst and the parachutes deployed, the team used the GPS trackers to find and retrieve the devices. 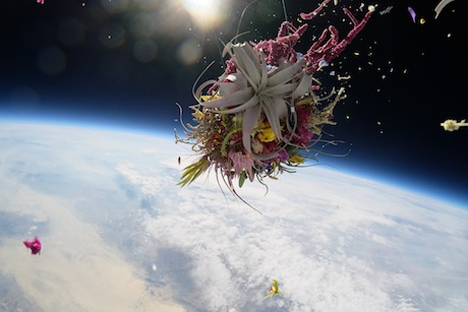 Although they found the vessels that carried the botanical payloads, they never found the plants themselves. 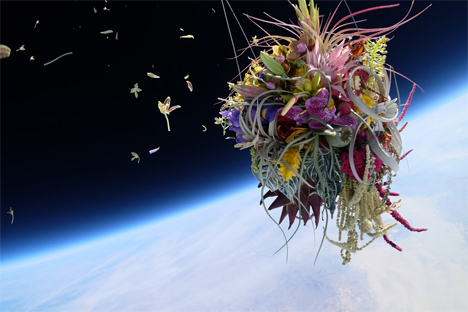 It seems a rather poetic end for the plants which were, for a couple of brief hours, finally freed from the bonds of gravity. See more in Art of Tech or under Technology. September, 2014.